We begin the day with an "Un-Keynote" address at 8:30AM by the futurist, Jared Nichols. He speaks of the leadership competency for thinking like a futurist. Most recently, Jared has worked with Kevin Glass and the Atlanta International School. Our HEADTalks focus on advancing our schools (Sue Cunningham of CASE), lessons from a large metropolitan school (Tom Boasberg, newly appointed Superintendent for the Singapore American School) and ISManila veteran head of school, David Toze. Then late morning Key Conversations, of your choice, follow the General Session (see your program or APP). We again are providing lunch within the exhibitor area, beginning at 12:00PM. IMPORTANT– let us also remind you that various Lunch and Learn sessions are scheduled from 12:00-1:15, so grab your lunch and go. The Deeper Dive sessions– again your choice of CONVERSATION, begin at 1:15PM. The final General Session begins at 4:00 and please plan to attend. For a short thirty minutes we will do our best to capture how AAIE plans to support our leadership learning beyond San Francisco. We want you to know about NEXT STEPS. Please, please support our colleagues who have put together Key Conversations and the Deeper-Dives. Make your choice of sessions today and it is here where much more in-depth learning conversations are possible. 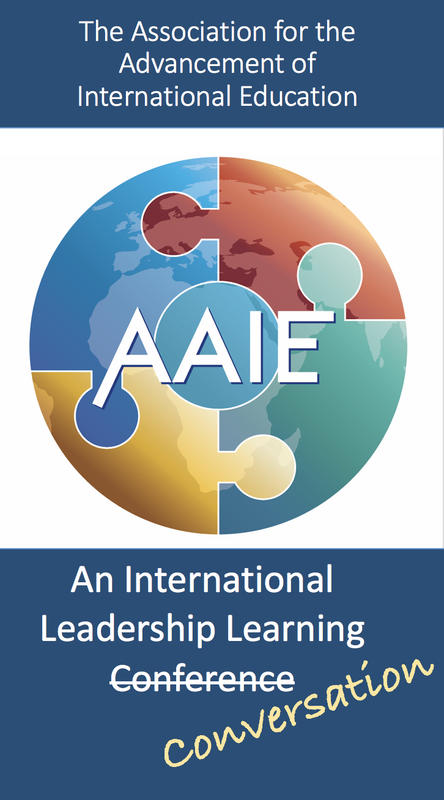 The AAIE registration desk is open all day and let us know if you have questions or how we can help and add value to your time with us here in San Francisco. Your feedback is needed. Please take a few moments to respond to the survey located on the AAIE APP. We will share results with our trustees and then with you in the coming days. Again– Enjoy the day, each other and celebrate our colleagues who have worked hard and are now putting themselves out there for the benefit of each and every one of us. We sincerely need everyone to get behind today's presenters and to join the conversation.